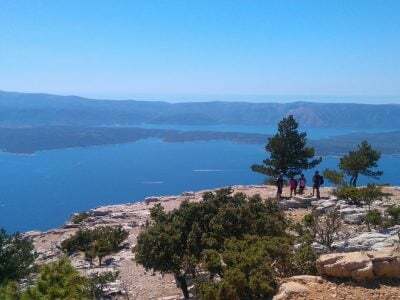 If you’re looking for a truly relaxing and invigorating holiday, discovering the ancient sites, bays, coves and harbours of Croatia, Greece, Italy and Turkey, an expert-led gulet cruise will be perfect for you. You can see our full schedule of gulet cruises by clicking on the country listings at the bottom of the page. There’s plenty of choice when it comes to gulets, and our superb range of vessels has been carefully selected to ensure both comfort and the quality that you would expect. Every gulet is hand-crafted in Turkey. 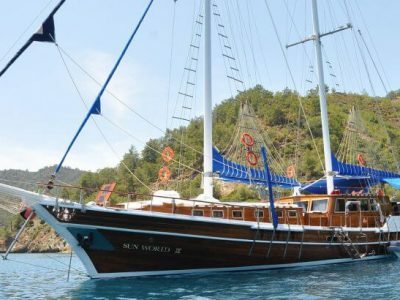 A gulet cruise can host groups from 2 to 24 people, with options for master, double or twin cabins. 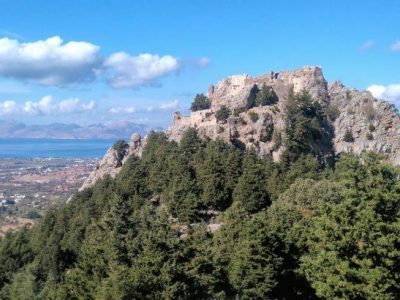 We offer the finest escorted gulet tours with a cultural theme. 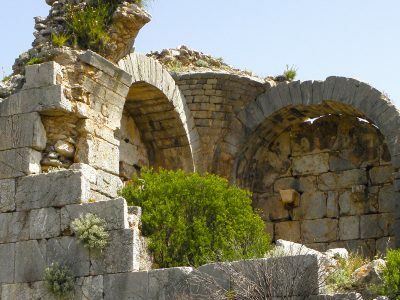 Enjoy total relaxation, beautiful food, and superb swimming as well as archaeological adventures. We have a wide range of gulet cruise itineraries, from the Amalfi Coast to the Aeolian Islands in Italy, the Dodecanese Islands to the Cyclades in Greece, from Split to Dubrovnik along the Dalmatian Coast and in Turkey from Kuşadasi in the Aegean to Antalya on the Mediterranean coast. We offer a variety of 1 and 2-week scheduled gulet trips, along the ancient coasts of Ionia, Caria and Lycia, stretching from the Aegean to the Mediterranean, from Kuşadasi in the north-west to Antalya in the east. 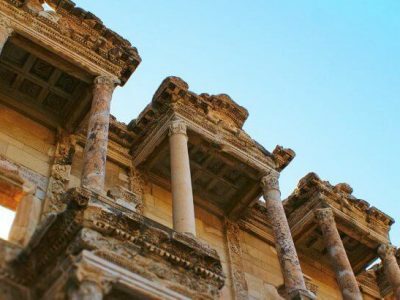 Along the way you’ll visit some of the most beautiful and fascinating archaeological sites of these shores. Find out more about our Gulet Cruises in Turkey. 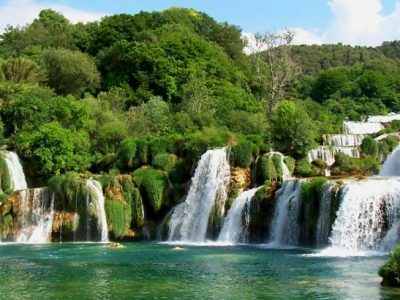 In Croatia, you can cruise along the spectacular coast of Dalmatia, with soaring mountains and a chain of beautiful and fascinating islands such as Hvar and Vis. 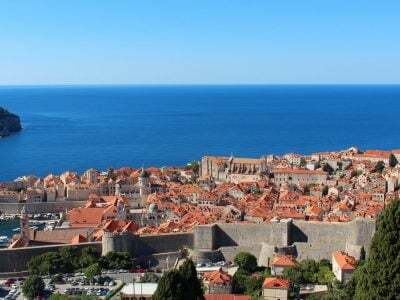 Discover a wealth of archaeological and historical sites including the medieval fortified town of Dubrovnik and the Roman palace in Split. Find out more about our Gulet Cruises in Croatia. 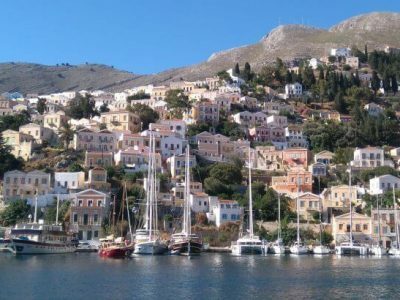 We offer a variety of 1 and 2-week scheduled gulet trips in Greece, through the beautiful Dodecanese Islands from Samos in the north to Rhodes in the south, or through the celebrated Cyclades including gorgeous Santorini. 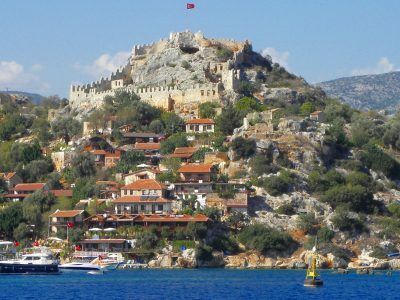 Find out more about our Gulet Cruises in Greece. 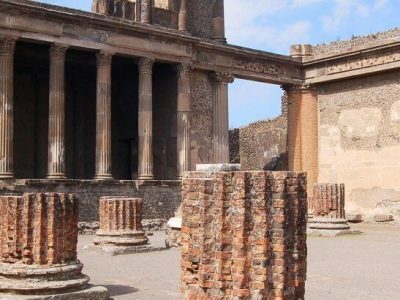 In Italy, you can immerse yourself in the sumptuous beauty of the Bay of Naples and the Amalfi Coast, lined with some of the most evocative and famous sites in the Mediterranean, among them Pompeii and Capri. 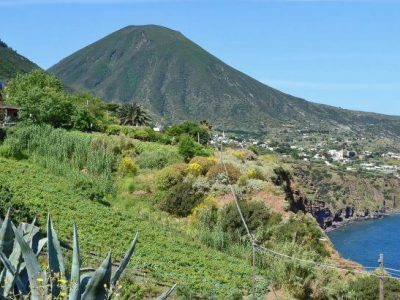 Alternatively, you can explore the natural beauty and authentic local culture of the Aeolian Islands. Find out more about our Gulet Cruises in Italy. On most of our gulet cruise itineraries we cruise for an average of three hours a day, generally by motor to keep to schedule, under glorious sail when weather and time permits. 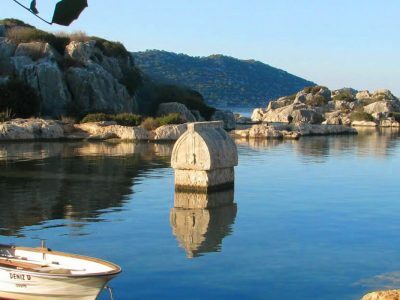 There are plenty of opportunities for swimming, snorkeling, and kayaking as your gulet journeys along the coast of Greece, Italy, Croatia and Turkey. This wonderful way of travelling is sometimes known as a ‘Blue Cruise’. 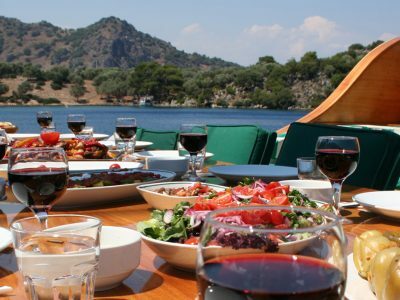 Service on a gulet holiday is a prime consideration and we boast experienced captains and excellent cooks to make your adventure simply unforgettable. 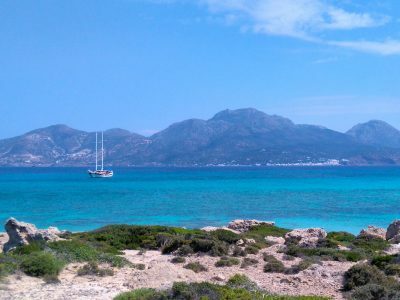 Mealtime panoramas range from secluded coves to picturesque old fishing villages. All food is prepared in the gulet’s galley by the on-board cook, who conjures up a variety of fresh local delicacies. Breakfast on a gulet typically consists of bread, tomatoes, olives, cheese, eggs, yoghurt, cereals, fruit and honey. Lunch and dinner are usually one or two main courses, accompanied by salads and tasty side dishes, followed by fruit. Local wines are stocked on board, along with a range of spirits, beers, soft drinks and fruit juices. The word ’gulet‘ (Turkish gulet – aka gulette or gullet) probably derives from the French goulette, or schooner. These two-masted wooden vessels, usually made from local pine, were long used for transport and fishing along the southern coasts of Turkey. Typically designed with a sharp bow, broad beam and rounded aft, these days they are designed and fitted with comfort and not trade in mind. 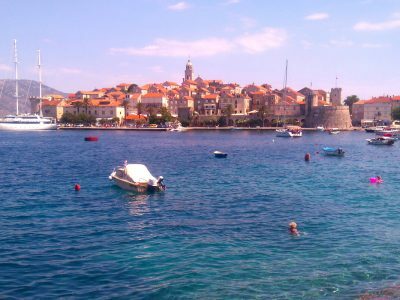 In addition to our historical tours and cruises, we also arrange fully crewed for private groups, large and small. We work with a range of gulets all hand crafted from wood in Turkey and manned by experienced local crews. 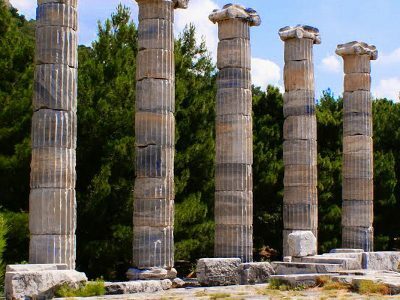 We provide you with an expert guide and all logistical support, as per our scheduled cultural tours, and can tailor the itinerary to your wishes. 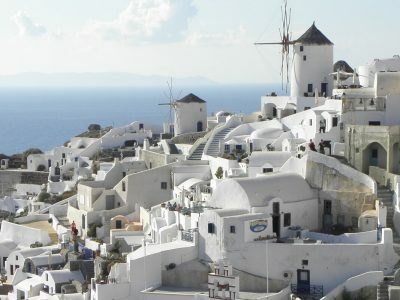 What could be finer than discovering the coast of Turkey or Italy or the Greek Islands with your family or some friends. Many of our guests book a private charter with us year after year, exploring different regions escorted by one of our specialist guides. Treat yourself to a magnificent gulet cruise and charter a whole gulet – your personal, bespoke and private gulet holiday. We can customise a gulet charter just for you. As many of our gulet based archaeological and cultural adventures fill up well in advance, we suggest that you talk to us about your itineraries and intentions as soon as possible. 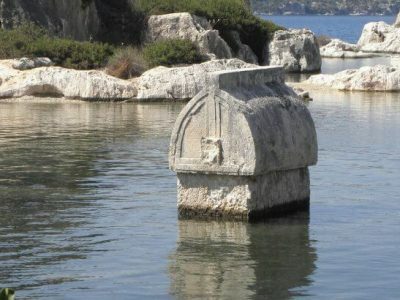 Peter created and led his first ever cultural gulet cruise in Turkey in 1996. We will be delighted to use our experience and knowledge to help and create the perfect gulet vacation and blue voyage for you. If you’re interested in a cruise on one of our gulets, please get in touch. Average rating 5 out of 5 from 372 reviews for Gulet Cruises, according to AITO reviews. Amazing time, wonderful trip, well organized, lovely hotel, great food and walks along the wall and through museums that were spectacular. A week's trip, staying in one hotel which was very nice, a real home base. Included daily trips to walk various sections of the Wall, see ruins of the forts, and visit museums to get a real sense of Roman Britain. This tour was an amazing experience seamlessly orchestrated and a celebration of life under the expert and passionate guidance of Michael Metcalfe. I enjoyed the variation in activities, choice of accommodation and restaurants, commitment of service providers (local guides, driver of vehicle, skipper of sailing boat, chef etc), knowledge, commitment and general demeanor of our tour guide. There is nothing that I didn't enjoy...In my experience the best tour I have been on...Very good value for money...Everything happened on time, as planned and seemingly without any effort at all (although obviously a lot of work went into assuring that) ). Michael Metcalfe is knowledgeable, enthusiastic, passionate, professional, kind, accommodating, gracious - everything one could ever wish for in a guide.